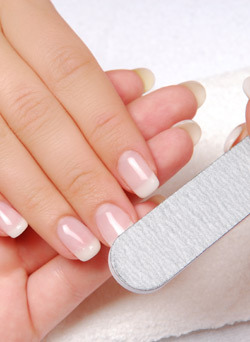 Many undesirable nail conditions can be avoided through proper fingernail care. Others might indicate an underlying condition that needs attention. Your fingernails — composed of laminated layers of a protein called keratin — grow from the area at the base of the nail under your cuticle. 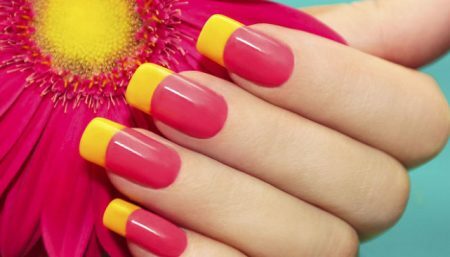 Healthy fingernails are smooth, without pits or grooves. They’re uniform in color and consistency and free of spots or discoloration. Too much exposure to water over a period of time weakens the nail plate and causes all kinds of damage. Do not handle the Cuticle: The cuticle is the natural barrier to fungus and bacteria — and once you breach that, protection is lost. This will not only make cuticles look worse — red, swollen, and ragged — but may also land you a nasty infection that harms the nail bed and leads to permanent nail damage. And while cutting cuticles holds the most potential for harm, pushing them back can cause problems as well. File your nails the right way: File your nails in a back and forth motion, only in one direction, as it is gentler on the nail. Use moisturizer. When you use hand lotion, rub the lotion into your fingernails and cuticles, too. Make sure your cuticles and the skin around the nails are moisturized as much as possible,using a cuticle balm at night may help boost moisture. Ask your doctor about biotin. If your nails are prone to breakage, it could mean they need moisture — and putting oil around the cuticle helps moisturize the entire nail, which will reduce the incidence of chipping, cracking, and splitting. Some research suggests that the nutritional supplement biotin might help strengthen weak or brittle fingernails. Look for a Keratin-based polish: Keratin is extremely important to the natural nail’s flexibility. Avoid products that have ingredients like ammonia and bleach, which can weaken your precious claws. 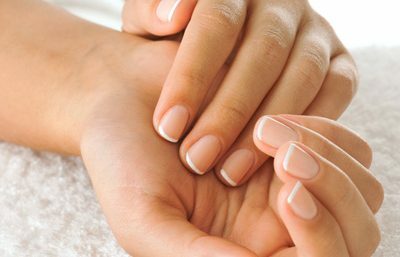 Limit Professional Manicure: While it’s hard to beat the pampering luxury of a pedicure or manicure, a study has shown that those who indulge in professional manicure regularly were the most likely to suffer from dry, brittle nails. The doctors theorize that exposure to more chemicals and harsher ingredients may be one reason. Women who get manicures frequently suffer from chronic nail bed infections, evidenced by puffy, reddened areas around the base of the nail. When you look at your finger sideways the area around your nail bed should be flat. If it’s puffy, that’s evidence of a chronic infection. One way to reduce problems, say the experts, is to take your own tools to the manicure. Choose Nail Tips over Full Extensions: Nail extensions are bad news for nails, frequently leading to fungal or even bacterial infections — and, sometimes lead to permanent damage. If you must wear nail extensions,opt for just tips. While they can still cause problems, the potential for damage is less since the surface area covered is smaller. With proper nail care, your brittle fingernails will be a thing of the past and you’ll know how to maintain beautiful nails!